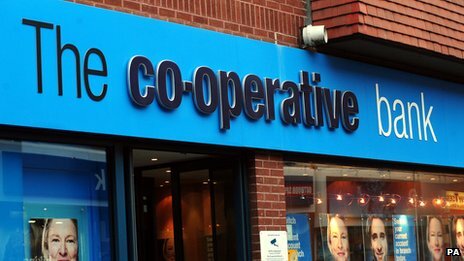 BBC News - What does Moody's downgrade of Co-op bank mean? Is Carney hurt by wrong rate steer? Can tax credit cuts be made less painful? What is China's 'new normal'? Will Blairites cross floor to Osborne? Should Fed raise rates now? Would Corbyn balance the books? Why is FTSE 100 shrugging off Shanghai Noon? Would Corbyn's 'QE for people' float or sink Britain? Would a third Greek bailout work? Do interest rates need to rise in 2016? Will German parliament back Greek deal savaged by IMF? Has IMF blown up Greece rescue? How damaged is EU by Greek debacle? Could euro survive temporary exit of Greece? How long to Greek capital controls? Is there any way Greece can avoid default? Once again, Peston's partisan tendencies have muddied both his reporting and his reputation; it is no good blaming the Agencies for the naive incompetence of an irrelivant also ran, popular with those similarly blinded by the headlights of socialist illusions. The real problem, which has been suspected for sometime, is that the CoOp Bank is somewhat amateurish. The bid for the Lloyd's branches has exposed this, and it has been left 'showing is slip' as they say. If the Co-op are in such a perilous state why did Lloyds spend so much time and money on Verde. Was due diligence not carried out? oh wait a moment - we've been here before with the HBOS take over -"Those who fail to learn from history are doomed to repeat it"
Does anybody really care what Moody's says? Why hasn't Moody's been given a substantial downgrade? 332: The borrower and the lender are not equal partners, not partners at all': they are debtor and creditor. If the business fails the borrower must pay down to the last cufflink before the creditors lose out. And that includes the creditors who deposited the money which the borrower lost.